Leeds property consultancy Gent Visick is now working on the final phase of a two-year development programme at Flaxby Moor near Harrogate, which has involved the letting, selling and extensive refurbishment of a 270,000 sq ft industrial site, to create one of the UK’s most advanced modular home production facilities. Gent Visick’s building consultancy team is project managing the next phase of works at the recently opened ilke Homes factory, which includes substantial roof repairs, major building alterations and the installation of a new sewage treatment plant. The firm’s agency division was initially appointed by RR Donnelley to let the former printing facility at Flaxby Moor, which was approximately 30 years old. Gent Visick secured a deal with ilke Homes enabling the new modular homes business, which specialises in the latest off-site manufacturing techniques, to lease and occupy part of the building under licence, in order to operate a pilot plant where prototypes of its innovative homes could be made. 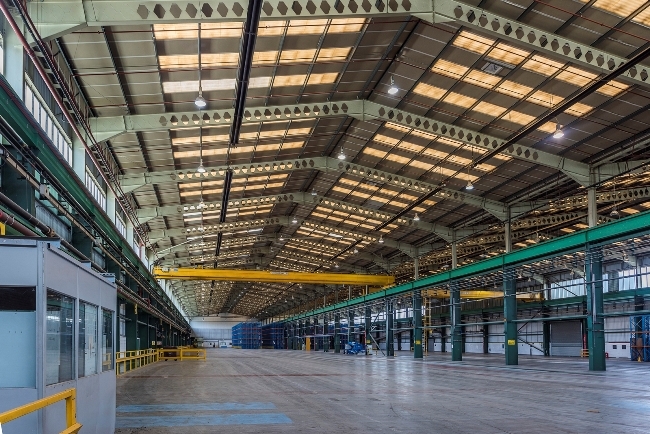 Gent Visick’s building consultancy division then managed the first substantial stage of the repair and refurbishment programme, which included demolishing a processing plant and a dividing wall with ilke Homes remaining in situ throughout. Next Gent Visick negotiated the off-market sale of the freehold of the property to Harworth Estates and subsequently assisted with finalising a longer 14-year lease with ilke Homes. Harworth Estates has now appointed the company to oversee the second and final stage of refurbishment work. The ilke Homes factory, a joint venture between Elliot and Keepmoat, has initially employed a 150-strong manufacturing and supply chain team supported by engineers, designers, and related professionals. The company plans to grow the manufacturing team to 300 over the next 12 months and create almost 900 jobs in the longer term. Gavin Ritchie, head of Building Consultancy at Gent Visick, said: “Initially managing the refurbishment process whilst ilke Homes occupied the building was a complex task, but as with any new venture, time was of the essence and it was important they could quickly commence the initial work on their prototype homes. Gent Visick is a leading niche property consultancy providing support during acquisitions, sales, lettings and investment transactions. Its services include industrial agency, building consultancy, investment and strategic consultancy. The firm recently opened a second office just off Oxford Circus, in London.